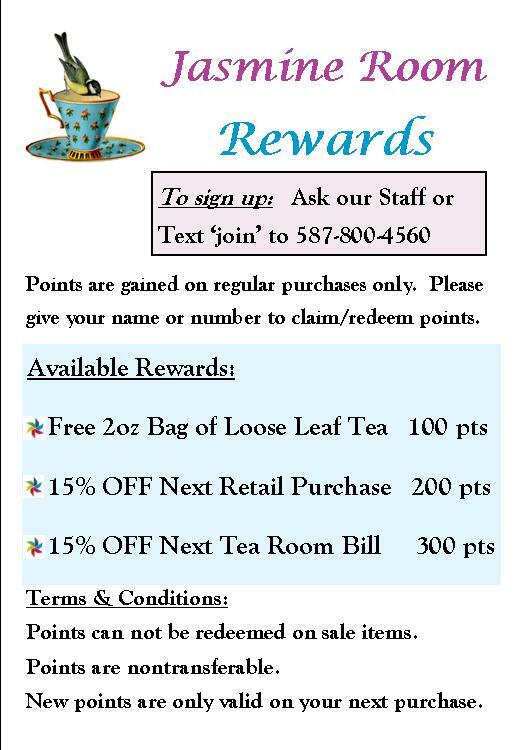 Our Rewards Club offers our members free tea and discounts on purchases. You will receive 1 point for every dollar you spend. 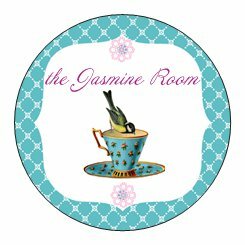 When you accumulate 100 points, you’ll receive a free 2-ounce bag of tea; 200 points will earn you 15% off of your next retail purchase; and, once you’ve saved up 300 points, we’ll be happy to gift you with 15% off of your next tea room bill. Points never expire, and can be saved and redeemed as you please.